Reposter is a journalist theme designed to take massive amounts of content and present it to the reader in a clear and structured manner. Reposter is a journalist theme designed to take massive amounts of content and present it to the reader in a clear and structured manner. It has a typographical hierarchy, strict grid and a clean layout that gives each element just enough room to breathe. 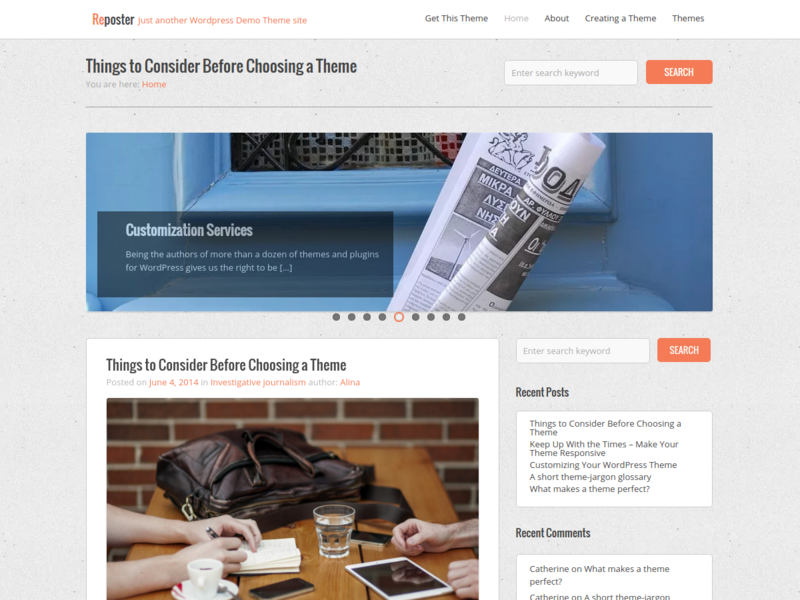 Reposter includes everything you need to bring your web blog online. 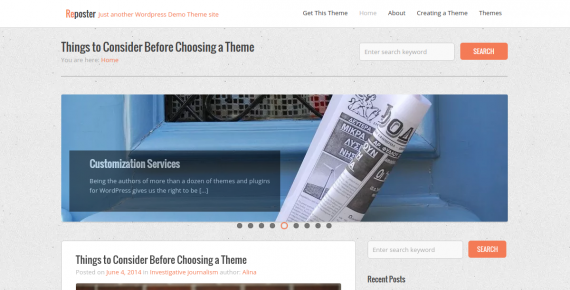 This Theme is very easy to use and doesn’t let anything get in the way of its functional and structured layout. 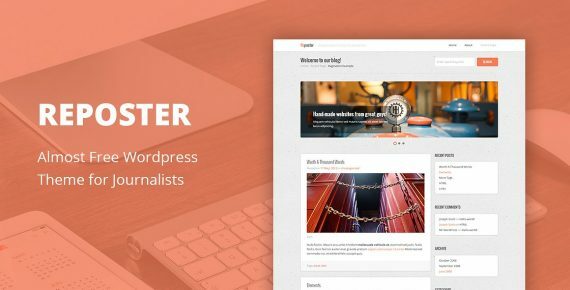 If you are looking for an all-in-one solution for your new journalist blog IT review or event information, then Reposter is the theme for you. Slider with the user-friendly interface, easy set-up, beautiful effects.